HISTORY — Belmont-Hillsboro Neighbors, Inc. In the 19th century, the area that would become Belmont-Hillsboro was part of the estates of Adelicia Acklen (Belmont) and Colonel A. B. Montgomery. The oldest sections of the neighborhood were subdivided in 1890 and 1891. In 1901, the Belmont Land Company secured a franchise to operate a street railway line along Belmont Boulevard, accelerating the development of the area as a “street car suburb”. Development would continue for several decades, with some of the more southerly portions of the neighborhood developed about 1940. Changes in tastes over this span of time resulted in recognizable changes in architectural styles. The mix of bungalows, cottages, American foursquares and tudors are common, though you will find examples of the prairie, eclectic revival and more contemporary styles as well. The neighborhood became the home of a large middle-class population, reflecting the average American lifestyle from 1890 to 1940. Following World War II, the neighborhood suffered a decline common to many older neighborhoods as cars replaced the street cars and the suburbs of Nashville continued an outward march. Declining property values, division of what had been single-family homes into multiple rental units, and lack of building maintenance presented the neighborhood with many problems. In the 21st century, the housing of the neighborhood exhibits a variety of architectural styles as well as size, thereby suiting a range of families and lifestyles. 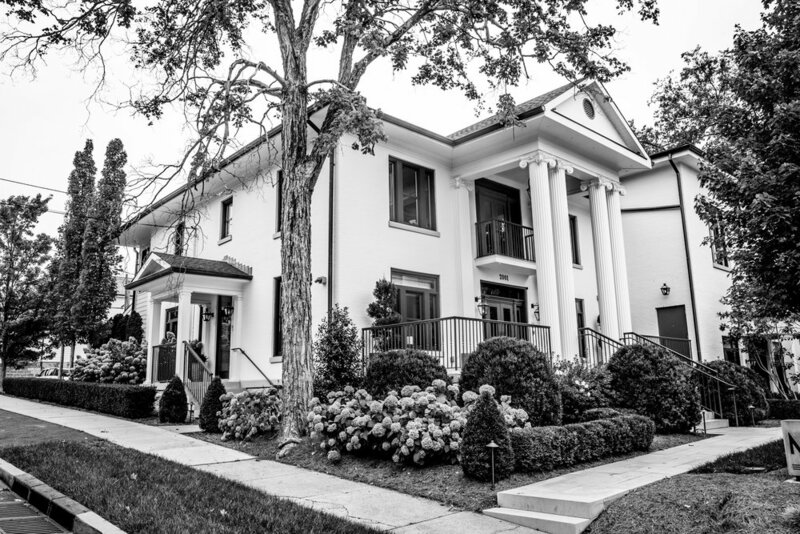 The process of home renovation and restoration continues today, the sum of which, along with a wonderfully central location in Davidson County, have helped the area become a very desirable Nashville address. Belmont-Hillsboro is conveniently located just south of Downtown Nashville and is within minutes of Belmont University, Vanderbilt University, Sevier Park, hospitals, Hillsboro Village, 12South, and Green Hills Mall. In 2005, a multi-year project to protect the architectural character and diversity of homes in the neighborhood was completed with the Metro Council’s passage of the Belmont-Hillsboro Neighborhood Conservation Zoning Overlay. The initial overlay protected 800 properties. Additional properties within the neighborhood were included in 2007 (200 properties) and 2012 (100 properties). In our 40th anniversary year, the neighborhood was celebrated by the Metro Historic Commission through the addition of a historic marker. Sponsored by BHN, the historic marker is at the southeast corner of Belmont Boulevard and Beechwood Avenue. In 1975, a group of the original founders of Belmont-Hillsboro Neighbors, Inc. created a document that in many ways set the stage for the Belmont-Hillsboro Neighborhood that we know today. This document, Building a Neighborhood: Yesterday, Today, Tomorrow, was funded by a grant from the Tennessee Committee for the Humanities, an affiliate of hte National Endowment for the Humanities. Use of public rights of way. The document, written and produced by neighborhood resident activists, provided a roadmap for both the creation and preservation of a residential neighborhood in a time wherein the Metropolitan Government had neither organized nor sensitive planning department or historic commission. It also serves as a time capsule of photos and family stories of homes that are still a part of the neighborhood today. Current neighbors owe a debt of gratitude to the ambitious and forward thinking residents who produced this document. Created in 1975, this historical document explores the Belmont-Hillsboro neighborhood of Nashville, Tennessee. 2018 © Belmont-Hillsboro Neighbors, Inc.